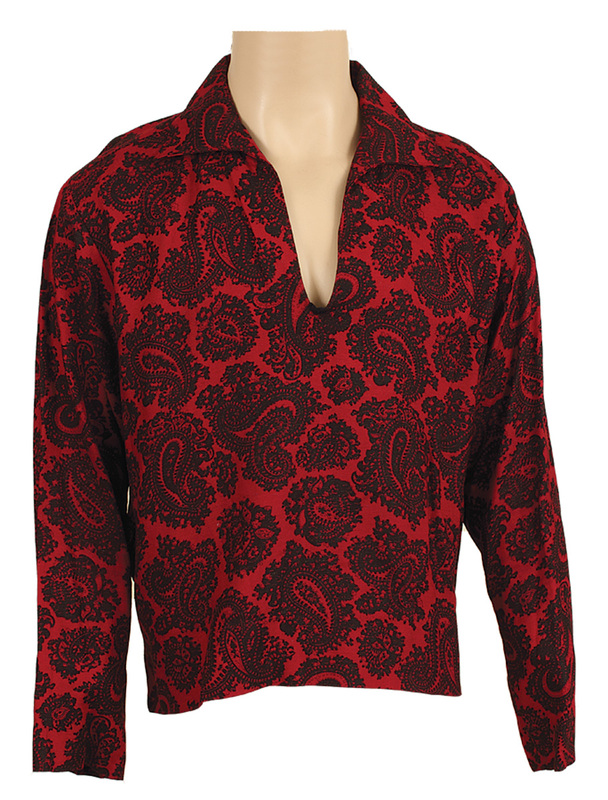 Elvis Presley's owned and worn red long-sleeved shirt with black paisley design. Very good condition. Comes with a letter of provenance from Elvis's close friend and "Memphis Mafia" member Charlie Hodge and a certificate of authenticity and a Gotta Have Rock & Roll™ Certificate of Authenticity.